"Wash. Rinse. Repeatâ€¦ And Repeat." The movie Removal is a horror movie. The main character in this movie is a guy named Cole. Cole is a floor cleaning specialist. Cole gets a job that is more than it was suppose to be. He thinks he is cleaning up murder scenes. Though Cole has not been all there since watching his co worker commit suicide, he did go to therapy to deal with what he saw. His wife left him because she was afraid to be around Cole, for her own safety. The unusual job Cole gets is from a weird man who likes to wear latex gloves. 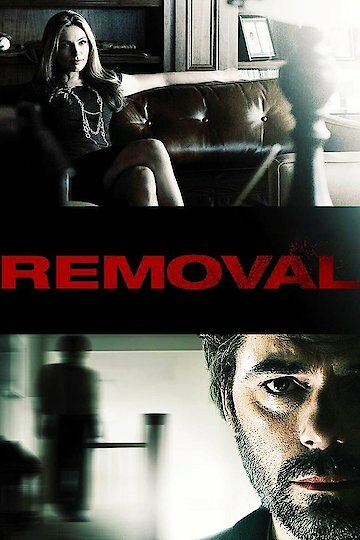 Removal is currently available to watch free on Tubi TV, Vudu Free and stream, download, buy on demand at Amazon, Vudu, Google Play, iTunes, YouTube VOD online.